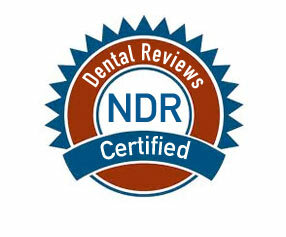 All our professionals at New Smile Dental maintain the highest levels of accreditation and pursue ongoing education to stay abreast of the latest trends in dentistry. Dr. Michael Dounel is a native of Los Angeles, CA. After finishing his Bachelors Biology at UCLA, he attended the prestigious Boston University and received his DMD. Upon completing his residency in Brooklyn, NY with many years of dental and post doctoral training in cosmetic and oral surgery, he was eager to return home. His goal was to create a comfortable resource to fulfill the cosmetic and structural dental needs of people who want to improve their image, confidence and life. Dr. Dounel firmly believes the old saying, "A smile says a thousand words!" For many of his patients, it's as if they are smiling for the first time. His passion is changing his patient's frown to a magical bright smile! Dr. Dounel reveals, "I am passionate about what I do because I see everyday how it changes their outlook on life! If you're interested in receiving the ultimate level of painless dentistry please contact our office for a new beginning. "Words cannot describe my feeling of fulfillment when I transform someone's life and for the first time they are happy to reveal their beautiful smile!"